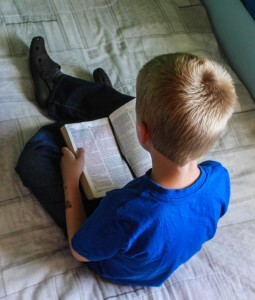 MEMPHIS, Tenn. — Officials at a school district in Tennessee have temporarily shut down a Bible club at a local elementary school following a complaint from a prominent atheist activist group. The Wisconsin-based Freedom From Religion Foundation (FFRF) recently sent a letter to Bartlett City Schools after learning that a Bible club was being held on the premises of Altruria Elementary School. The club, which meets before the start of school, is voluntary and is attended by a number of first and second graders. “This club, which functions as a Bible class, is unconstitutional because public schools may not provide religious instruction,” FFRF asserted in its correspondence. It asked that the matter be investigated to ensure that teachers and/or other school staff are not participating in the religious instruction. While the district has not commented on FFRF’s assertions that the club violates the U.S. Constitution, it temporarily shut down the gathering after finding that it did not have an outside sponsor. “Per our understanding, religious clubs at elementary schools must be sponsored by an outside group. To our knowledge, the K-2 Bible Club at Altruria was not,” it said in a statement. According to LocalMemphis.com, there is also a Bible club for third through fifth graders at the school, and that group has been allowed to continue to meet since it has an outside sponsor. However, the district also noted that the club isn’t gone for good, but rather will be reestablished once an outside sponsor is obtained. “While this club has been postponed, we are working with the school to ensure the proper steps are taken to allow this club in the 2017-2018 school year,” it said. In the 1990 Supreme Court case of Board of Education of Westside Community Schools v. Mergens, the nine justices of the nation’s highest court ruled 8-1 in favor of a student group that had been denied the establishment of a Christian club at their public school. The court pointed to the federal Equal Access Act, noting that if a school opens up a limited public forum, it cannot deny some groups the right to form simply because of their purpose. “Thus, even if a public secondary school allows only one ‘non-curriculum related student group’ to meet, the Act’s obligations are triggered and the school may not deny other clubs, on the basis of the content of their speech, equal access to meet on school premises during ‘non-instructional’ time,” it wrote.